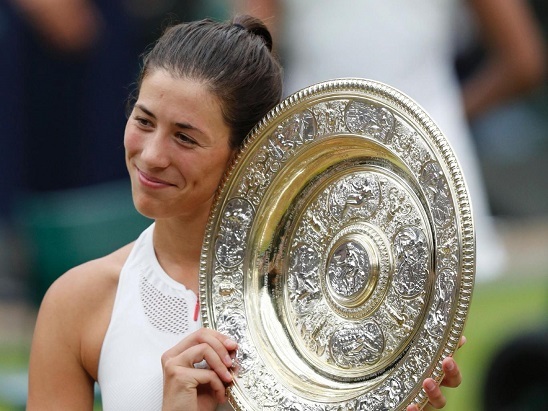 Garbine Muguruza beat American tennis veteran Venus Williams 7-5, 6-0 in the women's singles final of Wimbledon on 15th July 2017. It was 23-year-old Muguruza's first Wimbledon title and second Grand Slam title -- the first was in French Open 2016. Muguruza, playing in just her fourth Wimbledon, reached the final two years ago as a virtually unknown player and was beaten in straight sets by Venus' sister Serena. She also became the first Spaniard to lift the women's trophy following her compatriot Conchita Martinez's win 23 years ago.